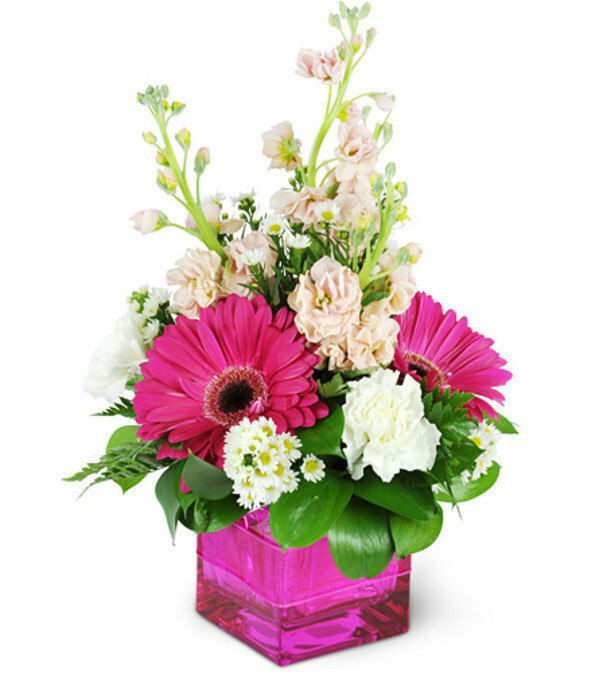 Show your devotion with our sweet-and-spicy pink arrangement! Delicate pink stocks add a touch of sweetness to fuchsia Gerbera daisies in a hot pink vase! It's the perfect way to show her all of things you love about her. 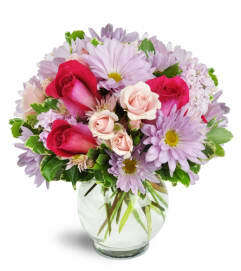 Fuchsia Gerbera daisies, carnations, stocks, asters, and more are expertly arranged to delight your Valentine! My daughter loved the flower arrangement that I sent her from Ava’s! The staff is always very accommodating with delivery requests and the arrangements are put together “lovingly.” I am so happy that I found Ava’s! We were looking for a nice spring arrangement to send for a birthday gift. When they arrived for same day delivery, they were just as pictured and maybe even prettier! Our Grandma loves them! I highly recommend Ava's! 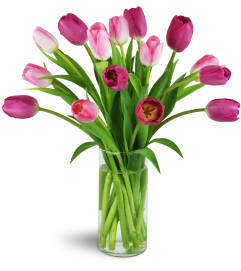 Ava's Rainflorist is a Lovingly Florist in Bronx . Buying local matters. Discover how Lovingly supports local florists. Copyrighted images herein are used with permission by Ava's Rainflorist.